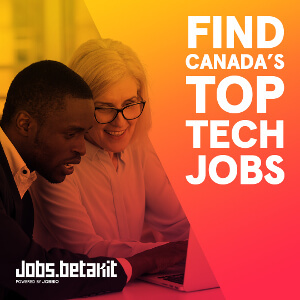 Yousuf Khatib is the co-founder and CEO of Global Skills Hub, which helps Canadian companies find highly-skilled technical developers and engineers from around the world. This is a chapter from Yousuf’s new, free e-book, Global Skills Strategy Handbook, which takes employers through the whole process of hiring candidates from outside Canada. Many employers ask us: “How can I hire somebody without ever meeting them in person first?” This is a common question, and certainly a fair one if you need that “gut check,” or the ability to assess nonverbal cues that cannot be read from a video conferencing call. However, the technology to screen candidates remotely has taken great strides over the last few years, and interviewing technical talent remotely is now easier than ever. In the words of our Head of Talent, Moe Nazariha: “It is simply not possible to restrict your hiring to people you can easily meet in person anymore. If you’re only focusing on that, you’re missing a huge number of quality people. Even if your process has to involve an in-person interview at some point, it won’t cost you much to fly them in.” Here are some ways to make sure you get the full picture from across provincial lines, national borders, or an ocean. The first screening you should do is non-technical, and should give you a high-level idea of whether a particular candidate is experienced enough, eligible to immigrate, and ready to relocate. We have heard from many employers that readiness to relocate is one of the top factors that lead to candidate rejection; most employers are looking for candidates who are ready to move in three months or less. How would you describe what type of role you are seeking (front-end, back-end, full-stack developer, etc.)? How many years of work experience do you have (keep in mind, in many cases they will need 5 years of full-time experience to be eligible)? What programming languages have you been using regularly in the last year? When are you available to relocate to Canada? What is your nationality (some nationalities will not need as much paperwork to get into Canada, see Chapter 4 for more details)? Have you ever applied for a visa to live in Canada? Are you willing to move to the city our company is located in? Based on the candidate’s answers to these questions, you should be able to figure out if they stand a good shot at qualifying for the visa, based on the information in the previous chapters. Now it’s time to assess their technical skills. At the next stage of the qualification funnel, it is worthwhile to give the prospective employee a beginner-level quiz. 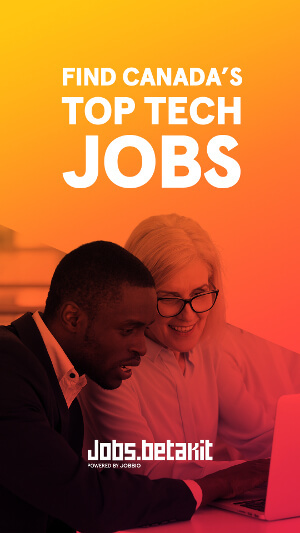 For these, we use either HackerRank or Codility, which are great for screening out candidates who are not senior enough. At this stage, we typically ask foundational questions about computer science (data structures, algorithms, variable manipulation) and basic math problems. Once the candidate has successfully cleared these two stages, we begin to test their “hard” technical skills. All this, and you can store millions of rows of data. If you’re having trouble figuring out what sort of challenge to give the candidate, consider taking a problem you are currently facing as a company and see how the candidate’s mind works to figure it out. Once the candidate has taken the coding challenge(s) specific to your role, watch the video and see how they answered, then schedule a follow-up interview to discuss it, and ask them how and why they completed the challenge the way they did. When it comes to second chances, we feel you should give the candidate a second chance only when they realize immediately that they’ve made a mistake. Beyond sheer technical ability, though, you will want to know how a candidate will function as a member of your technical team. Process: How would you describe the software lifecycle in your last position? Is there anything you would change about it? What does good testing look like to you? Have you ever had a bug show up in production? What happened next? Have you ever written a post-mortem? How long did you spend preparing for this interview? Have you ever been on-call? Tell me about it. Conflicts and Relationships: Have you ever mentored anybody? Is there a time when a coworker frustrated you? How did you handle it? What are some essential components of a successful team? Have you ever disagreed with a supervisor or boss? How did you handle it? Success and failure: Tell me a story about a time you failed. When would you consider a project to be finished? What is something you were really proud of that nobody knew about? What do like about [insert technology here] and what would you change about it? Yousuf’s complete e-book Global Skills Strategy Handbook can be downloaded for free at GlobalSkillsStrategy.com. Image courtesy Unsplash.